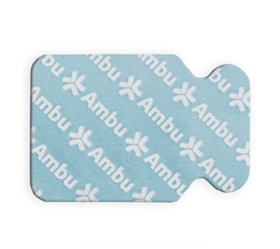 Medium size tab electrode with solid gel for 12-lead ECG. Presented conveniently with 10 pieces to a card. The fish tail tab design reduces electrode lift-offs even if the adaptor kinks. Note: Equal to the Nikomed item #0415.